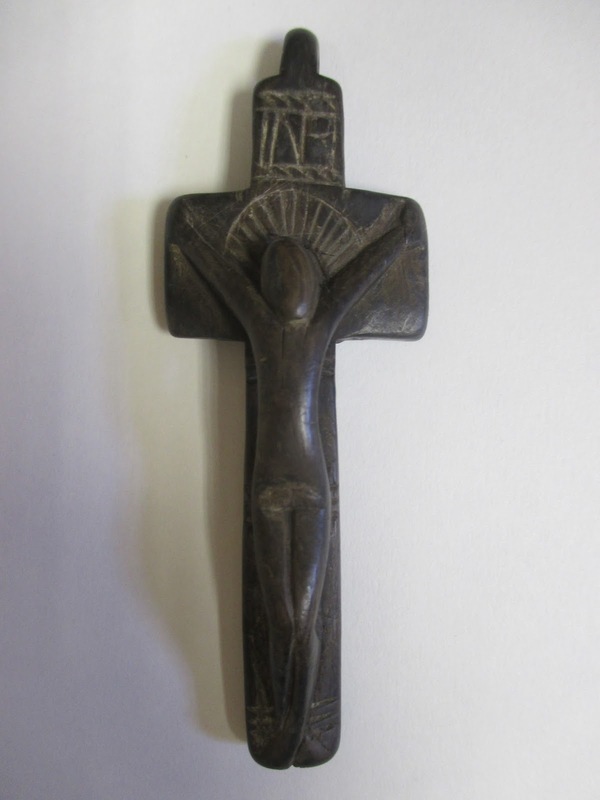 Penal crosses were devotional artefacts mainly made of wood. Their name derives from the fact that they were contemporaneous with the Penal Laws period. The cross was an important symbol for Catholics whose religion was under threat. They date from the early 18th and the mid 19th centuries. These penal crosses have been associated with pilgrims visiting Lough Derg where a group of local carvers produced the crosses as souvenirs. These crosses were carved in a simple naive style with a crude carved figure of Christ. They are often dated on the reverse. The example illustrated here from the Museum collection depicts the figure of Christ with a halo and above this the letters INRI - Iesus Nazarenus Rex Iudaeorum - Jesus the Nazerene, the King of the Jew. 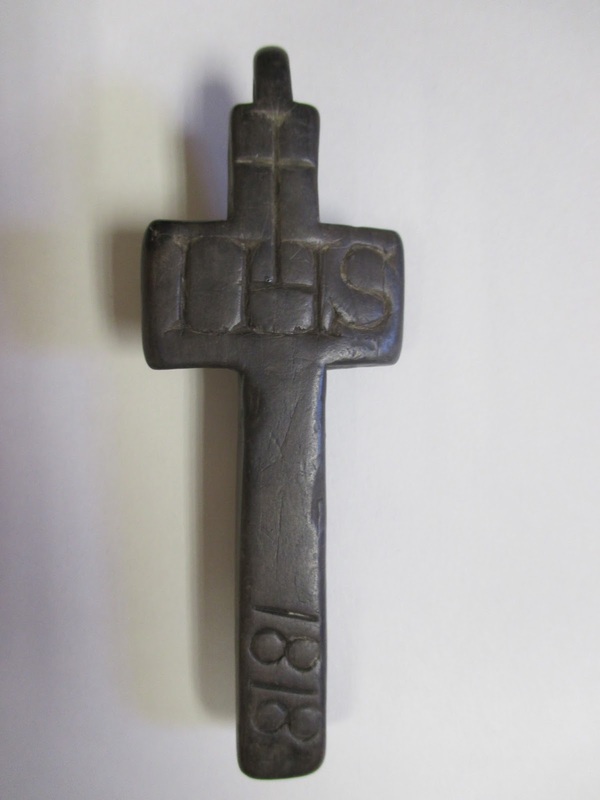 On the reverse is the date 1818 and the letters IHS - Iesus Huios Sother - Jesus, Son, Saviour. It has a loop on top allowing it to be worn around the neck.